It’s the second time I have been to the Lido Cafe in Brockwell Park and its great strengths and occasional weaknesses remain, both largely down to its location and clientele – the food itself was great. It’s a splendid setting on a beautiful day like this, next to the hardy swimmers in the Lido with the park beyond. It seems compulsory for any party wandering into the Cafe to have a small child along for the ride – we were well prepared with 4-year-old Luc in tow (the occasion being Howard’s departure for ten days to Afghanistan.) Kids + cosy acoustics mean indoors can be a noisy place but you can see why it’s popular with families. Today was brunch time, and you can’t fault the grub. 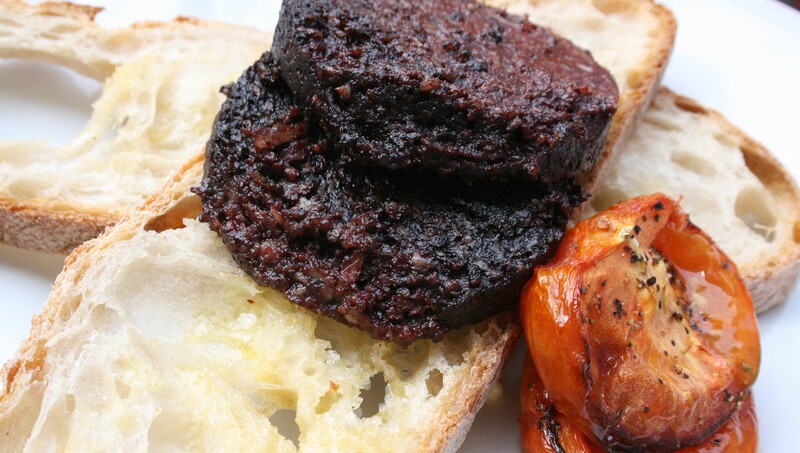 I had excellent buttered sourdough toast with crumbly oaty Stornoway black pudding. Good coffee, great juice, the scrambled egg on the next plate looked good too. Even the ‘orange cake’ a friend mistakenly picked turned out to be a tasty duck pie in lardy pastry topped with tangerines. So the downside? Well service is slow and out of order, not surprising when it gets so rammed on a sunny Saturday morning but I want more than caff service when the fry-up costs twice the price. Staff were friendly (more than last time) and indulgent of our no doubt irritating questions, but basic things like jam coming after we’d scoffed the pastries and no sugar on the table meant everything was a little off-pace. It’s not a game-changer – it’s a lovely place and I’m bound to be back over the summer and keen to try a lazy midweek lunch or fancy dinner some time. But there are enough places for brunch in Brixton that it’s unlikely to be top of the list for a quick boiled egg and soldiers every time. « Modern and mutual: How do we put people in control of public services?